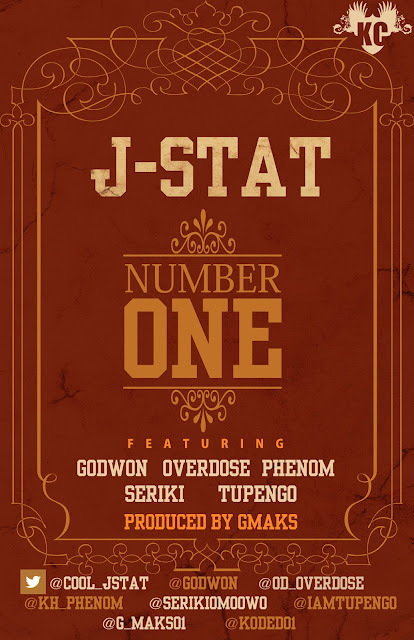 J-Stat, with real name John Obinyan drops his 3rd official single - Number One which features Overdose, Godwon, Seriki, Tupengo and Phenom. J-Stat who is currently unsigned has been spending a lot of time in the studio recording several more songs, most of which are collaborations for an EP he intends to drop in the first half of 2013. Number One was produced by G-Maks and mixed/mastered by Dj Rymonz.